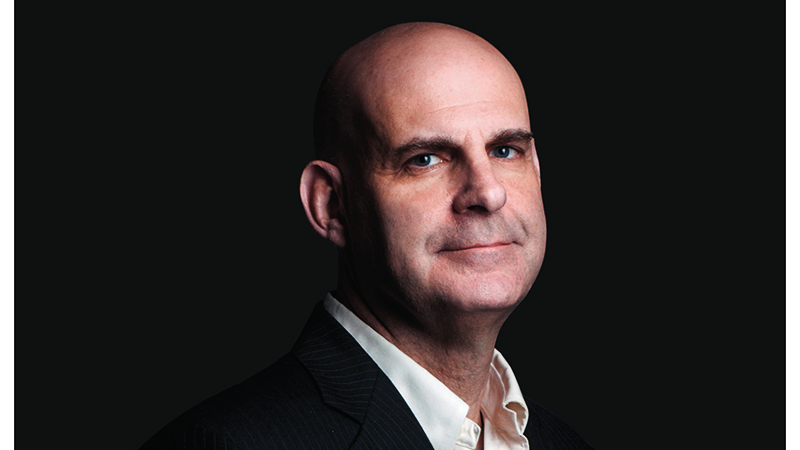 Harlan Coben: "Lyon is a city that is generous to her visitor"
Famous American thriller novel author Harlan Coben is back in Lyon for the Quais du Polar Crime Book Festival (6-8 April). He talked to This is Lyon about France, TV series, food, and his latest book, Home. Never heard of Harlan Coben? Come on! This American writer is known to millions of readers around the world. He has sold more than 70 million books since his first novel Play Dead in 1990. Harlan Coben ©HACQUARD et LOISON, Opale Leemage. He’s the author of the popular Myron Bolitar series, and his 2001 standalone novel, Tell No One, was very popular and adapted to cinema by French actor and director Guillaume Canet (Ne le dis a personne). The movie was the top box office foreign-language film of the year in the U.S. and won many awards. He is also the creator and executive producer of several TV shows for French networks and of the upcoming Netflix Original drama “Safe”. He is back in Lyon at the Quais du Polar crime book festival (6-8 April) for a third time. He’ll meet his readers and talk about his latest novel “Home”, a Bolitar story, on Saturday April 6th. Don’t miss out! This is Lyon: Are you happy to be coming back to the Quais du Polar Festival? Harlan Coben: Of course! Quais du Polar is one of my favorite festivals in the world! 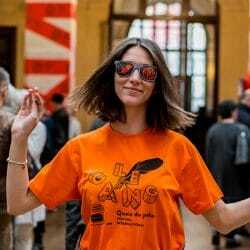 What did you like most about your previous visits to the festival and to Lyon? My favorite part of the festival: Meeting the readers and having a chance to mingle with my fellow writers. My favorite part of Lyon: Oh there are too many things! The beauty. The hospitality. The cuisine. But mostly, the friendly, warm people. Lyon is a city that is generous to her visitors. 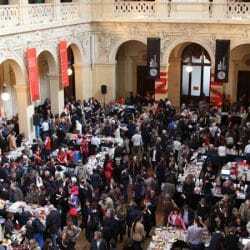 What is a book festival for you? An opportunity to meet readers or fellow writers? Who are you looking forward to meeting? I really enjoy meeting readers — what is a writer without a reader? He is a man who talks to himself! So please: come by and say hello and tell me what you thought of the book. We have a relationship already! You’ve been exposed to and international audience after Tell No One and the French film by Guillaume Canet. How important is France to your career? It is hugely important. I love France. It is my favorite country other than my own. I have great admiration for the French, and I really appreciate my relationship with the French readers. Will other books of yours be adapted soon for cinema or television in France? I hope so – and maybe we will be able to make an announcement about this before the festival. I’ve really enjoyed the “French accents” in Tell No One, No Second Chance and Just One Look. I would very much like to do more. Can you tell us a bit more about upcoming Netflix drama “Safe,” which premieres in April ? Safe is an eight-episode drama about four families in a “safe” gated community — and how everything changes after one wild teenage party. It stars Michael C. Hall (Dexter), Amanda Abbington (Sherlock) and perhaps most important to the French – Audrey Fleurot! “Home” has just been released in French and signals the return of your favorite character, Myron Bolitar, hero of 11 of your books. Are you more comfortable with your recurring characters, or standalone novels? I love writing both. First I come up with the idea for a story. Then I ask, “Who is going to tell it?” Most of the time, it’s someone new. But sometimes, the answer is Myron Bolitar. HOME is maybe my favorite Myron novel – even if you’ve never read one before. How would you explain Bolitar’s success ? And your own international success? I don’t explain. I just try to tell the best story I can. I leave the rest to the readers. I’m very grateful, but mostly I want to keep you up at night turning the pages. I want to stir your pulse – and your heart. You are the first president of the jury of the new Cannesséries festival (4-11 April). Did you enjoy writing for television? Are TV series the future for crime story novelists? I am currently writing my thirty-first novel. That’s a lot of time alone in room! So I’ve enjoy the chance to get out of that room a little bit — to collaborate with talented people. In France alone, I’ve gotten to work with Alexandra Lamy, Guillaume Canet, Francois Cluzet, Pascal Elbe, Virginie Ledoyen – I could keep going! – and now Audrey Fleurot. I love writing for television, but no, it’s not the “future” for crime novelists. It’s two separate jobs with one major overlap: Telling stories. The novel will always come first for me. 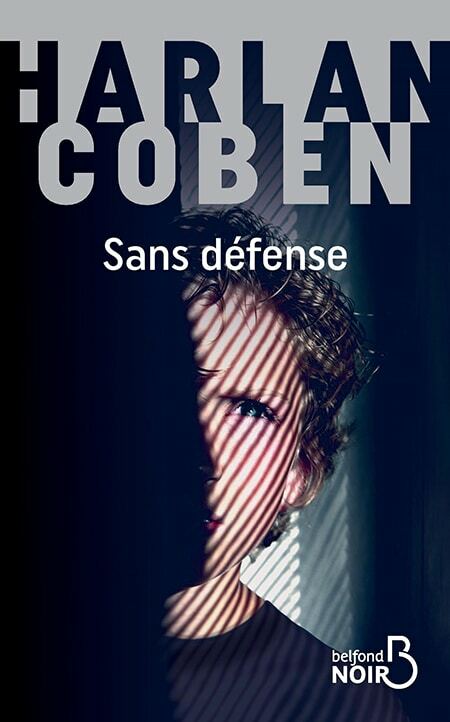 Harlan Coben book signing : Saturday April 7, 12 to 1 p.m. and 4 to 5:30 p.m. Palais du Commerce, Lyon. Decitre Book Store. Conference, One hour with Harlan Coben. 6 p.m. Hotel de Ville, Lyon. You can listen to Harlen Coben’s lecture live or podcast here. 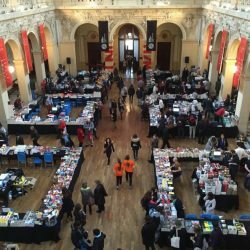 Quais du Polar returns for its 14th edition.